Why are Short Barreled Rifles so Popular? Pistol Caliber Rifles? The craze of smol guns has taken the Airsoft and Real Steel Industry by storm. Staple guns like the G&G Arp-9 and 556, along with the Classic Army X9, PXG-9, and AR4 have left a mark in Airsoft. The start of the pistol caliber craze began with those models. Indoor play and the need for lighter, more compact guns has gone up non stop for the passed couple years and I think I’ve got a pretty good grasp on why. Hear me out. The Airsoft world and firearms world has been in NEED of innovation. Pistol caliber carbines and SBR/PDW style firearms aren’t a NEW thing. However, in my opinion, they were overshadowed by larger, prettier, “compensatey” type firearms. Again, I’m not speaking about ONLY Airsoft guns or Real Steel. Both have had their fair share of expensive, large, and pretty looking guns … looking at you Warsport LVOA-C. Love that gun, in Airsoft at least. I don’t have an extra arm and leg to sacrifice to get a real steel one sadly. But back to short guns … I think that they are the next “wave” or craze. For a while it was the larger guns i.e MK18, Block 2, 416 and 17 builds. On Airsoft, it was to emulate our current military and what they use. In real steel, I believe the tactical application of such style guns look really nice on camera and are very effective in real combat scenarios. It just makes sense. Complex movements, mozambique drills, transition drills, all these flashy movements and or practical movements work nicely on camera and for training purposes. Why have a short barreled, smaller caliber firearm when you can have a full length MK18 build with a larger round and round count? For Airsoft, it was because v2 gearboxes and m4 parts are easily accessible, comparative to other styles. It just worked. But this has been the case for a long time and I think everyone wanted a new wave to ride. All the applications have been practiced. With “Operator” social media presences came a constant need for innovations in order to captivate the fans/viewers. Introducing the new “Craze” hidden in the shadows of full length firearms. SBRs and PDWs have taken this market by storm, but has not yet over saturated it yet. The Krytac PDW and SDP were very popular when they came out but have always been overshadowed by the LVOA and the CRB. 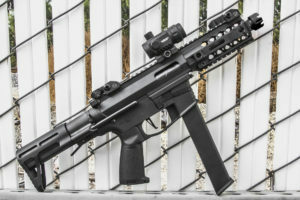 With the popularity of these “longer guns” dying down and the popularity of high speed, CQB play rising … the SDP and PDW lok a lot more promising. 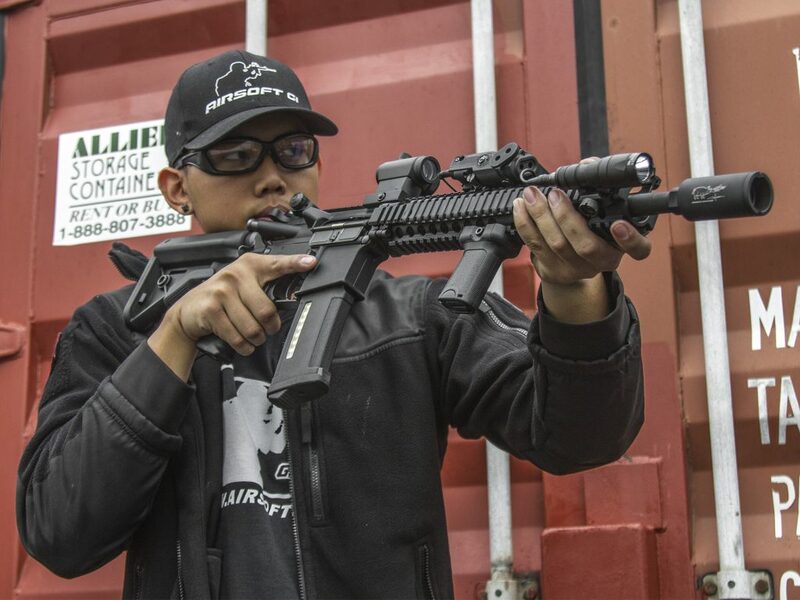 Guns like the G&G ARP9 and the Classic Army X9 began to emerge to offer a different approach to the CQB gun game. Instead of an M4 … here’s an, uhh .. M4! But with a stick, 9mm magazine! All jokes aside it was actually a really cool design and concept. 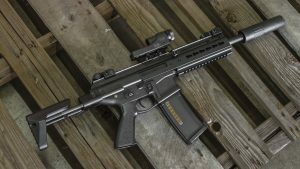 Seemingly, around the same time, real steel and Airsoft began to adopt the pistol caliber and pdw persona over the more recent, long style guns. Being an advocate of indoor game play, these guns suit my play style very well. I like being very hyper aggressive and it is boatloads easier to do so without 16 Inches of metal rails slowing me down that is for sure. The Classic Army PXG9 and X9 sport super compact 3-4 inch rail systems, with the PXG9 being full polymer and lightweight. The X9 not being much heavier and, just like the PXG9, uses stick type pistol caliber type magazines. Others like the Ares M45 and the ARP 9 are also very solid options as well! On the Real Steel side, the only Pistol Carbine I’ve ever fired is the CMMG Banshee and oh my GOODNESS if it wasn’t the smoothest shooting thing I have ever experienced. It was like I was firing a Gas Blowback Rifle in an Airsoft game. The gun was light, the recoil was minimal, and it wasn’t too loud, albeit being a 45. ACP chambered baby gat. Can’t even imagine what the 9mm version is like! You SHOULD try Airsoft! Airsoft Vs The World! To start off with, I’d like to address how people look at Airsoft as I am NOT oblivious to it. Many people, paintballers, real steel firearms enthusiasts, and anti-gun advocates view Airsofters or Airsoft in a pretty demeaning way. Social media depicts it as either a bunch of fake pretend “military people” with stolen valor, a gateway to being a school shooter, or it being the poor people’s paintball. These are all things I’ve heard from REAL people and most of that isn’t true. Honestly, a lot of us tend not to care, but I do, because it’s stopping our sport from growing. Hear me out will ya? This next segment is more like a disclaimer. Yes, I see that the main issues revolve around the fact the the weapons we use look like the real thing. In turn, it requires more responsibility. The guns look real even with the orange tip off. An orange tip will not stop a jumpy, trigger happy bystander or officer. Even the term we use is Airsoft GUN, as opposed to paintball that uses the term marker instead of gun. The word gun tends to scare people with good reason. None of the weapons used in Airsoft are LETHAL. Yeah they hurt, but so does paintball. Before you buck up and decide you want to get into Airsoft, know that owning the gun is comparable to owning the real deal! It. Looks. Real. PLEASE, do not bring them out to the public and do not flaunt them around like a pair of new shoes. COST. That is also a big difference between the main rival of Airsoft .. Paintball. Paintballs are double, sometimes even TRIPLE the cost of BBs. 500 Paintballs is about $50 USD. 5,000 BBs can run you maybe $13.50 USD. 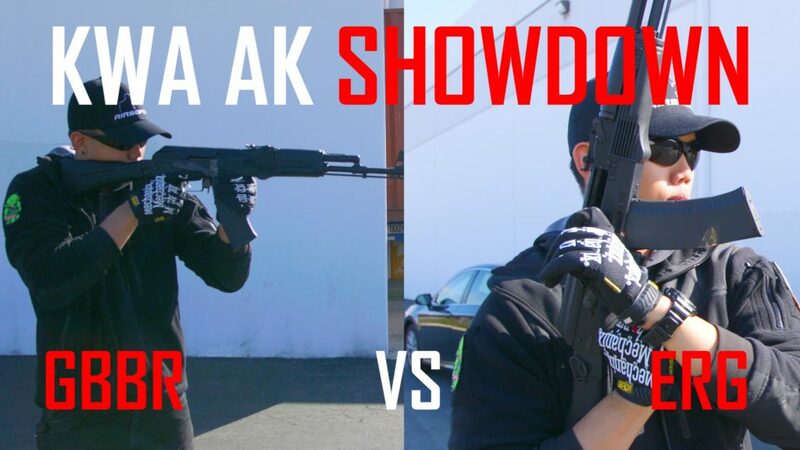 Guns vary in both sports as there are low, mid, and high end guns but I feel as though that there are more options for personality and customization in Airsoft! 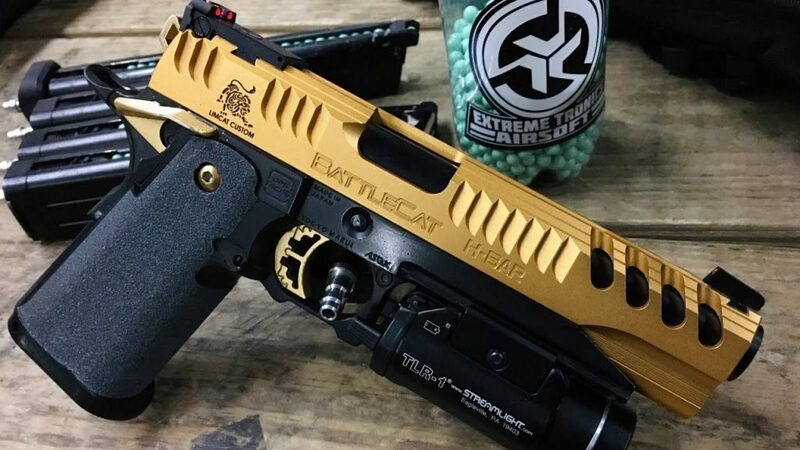 Since the “guns” all replicate real steel guns, people can easily make theirs mirror those or go off and do something whacky like a brightly cerakoted ipsc style pistol! Clean factor is also a thing. YES, the paint is washable but if you play outdoors … chances are you’ll get a little more than just paint on your gear. Paint is a liquid and you know what dirt does with liquids? Not sure about you but I don’t really like mud cake on my expensive gear. Or in my car and on my seats. Call me a princess but I like my stuff to be relatively clean. I am not a fan of taking a couple hours out of my day to clean gear that is going to get dirty and paint caked again on my next trip! STAY TUNED FOR PT. 2 ! GOING TO BE POSTED AT THE END OF THIS WEEK! 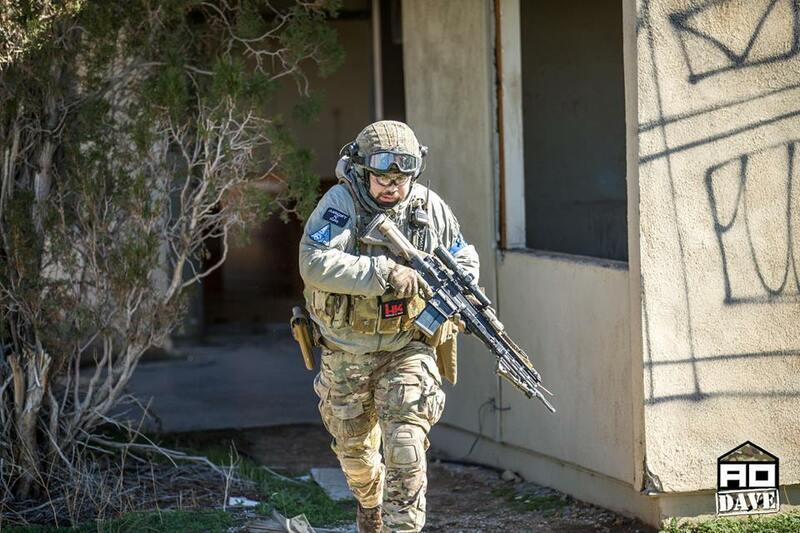 WHAT IS GOING ON GUYS … Its Aaron from Airsoft GI and here is a little about me! Starting off I’d like to say that I am NOT here to replace BOB, Tim, Daniel, Josh, John, Mike or any of the other GI personalities. Comparing me to Bob, Tim, or even Mike may leave you disappointed. Instead, take me as a fresh face and a big ol’ ball of enthusiasm! I’m psyched to be here and I can’t wait to make more videos, and push more content for all you viewers and fans! Your friendly neighborhood speedy boi began Airsofting in 2015. Very recently compared to others however I grew a love for the hobby after shooting my friend’s TM FN Five-Seven. 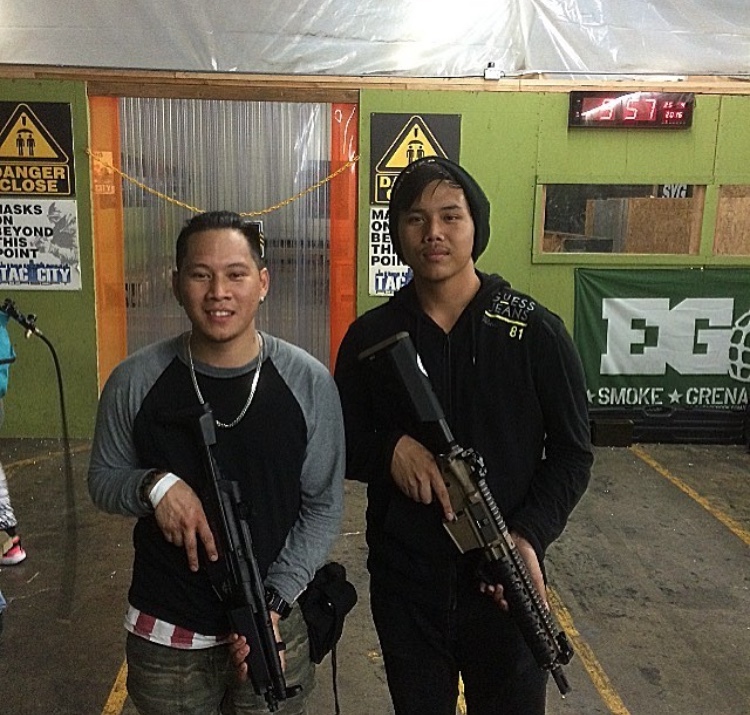 I had played paintball before, and I knew OF Airsoft guns. However, I did not know that Airsoft was a sport until the day I got to shoot his Five-Seven. 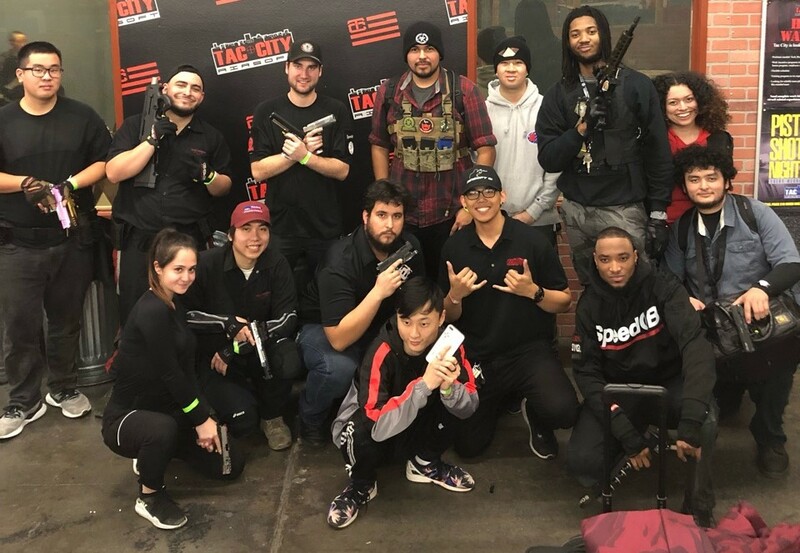 THAT weekend, we all left to Tac City and we played CQB for both of our first times. He ran the FN and I rented a Combat Machine and even though it fed terribly and had a jacked hop up unit, I still had SO much fun! The next week I bought my first pistol, a KJW P226 and my first rifle, a G&G CM18 Mod 1. From then on, I began my Airsoft journey! Fast forward to 2017, I had quit Airsoft for two reasons, I didn’t like my setup and I needed to focus on school. So I quit. Up until 2018 When I started up again around the same time I began working for Airsoft GI. I built my first Hi Capa which brought me into the SpeedQB and Jungle Ball world of Airsoft while working at GI. Then, recently, I built my first Mil-sim style, outdoor oriented gun which is a Gate Titaned E&L Block 2 (pictured in the second picture on the blog). 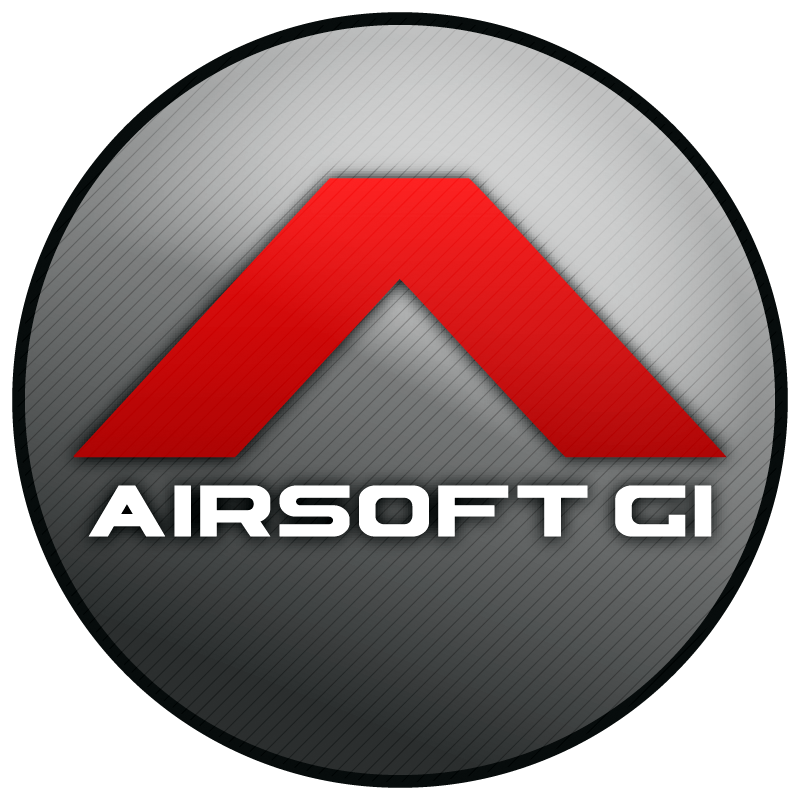 I have learned a lot since working for Airsoft GI and in my experience as a younger Airsofter. The MAIN thing that keeps me around is the community. My friends. 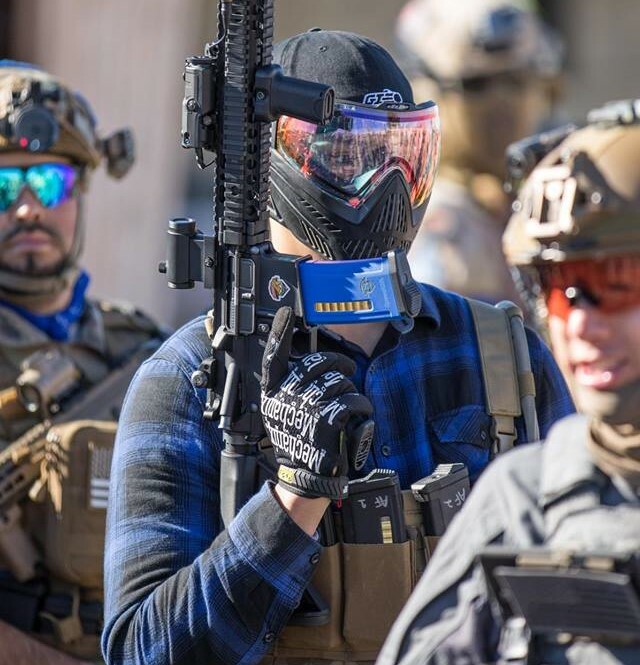 Milsim, Speedsoft, SpeedQB, Desert Fox Events, all of it is still JUST Airsoft to me. Regardless of title. The friends I’ve made along the way have made me the player I am today. I bugged and bothered and asked questions to my more experienced friends so I could gain knowledge of my own to pass onto others. Growing the sport through connections and friends. That’s what it’s all about! Being a video game advocate, playing shooters and things of that nature with my friends made doing the same thing, but in person just that much more fun. Hearing the BBs strike the walls around you, landing that super tough snapshot, contesting an OBJ with your squad mates, all of these things together get your adrenaline pumping and your heat racing. It is great! Also, great cardio workout! The guns and the gear get pretty heavy! Ever since I was younger, I’ve been fascinated with firearms. My family on the other hand has never been fans. Airsoft was a safe and fun way for me to get used to the mechanics of using one. It trained me to have discipline and proper motor skills when handling the real thing. 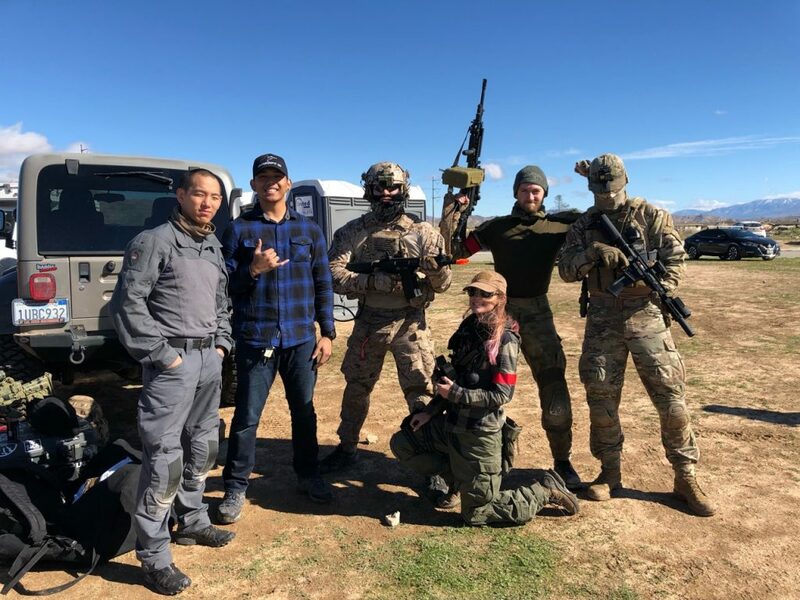 If you are someone who would like to train with firearms but can’t get access to the real deal, Airsoft is a REALLY strong substitute and training method! Operating and wielding a Gas Blow Back LM4 made it a ton easier wield and operate a real steel AR-15. In the end, Airsoft is all about having fun! Try not to take it too seriously. It is a game where the objective is to shoot your friends with replica guns that shoot tiny plastic balls. C’mon, read that again and try to take it seriously. Go out, have fun, no one Airsofter is superior to another, if you see me out there do NOT hesitate to say what’s up and oh yeah .. CALL YOUR HITS! 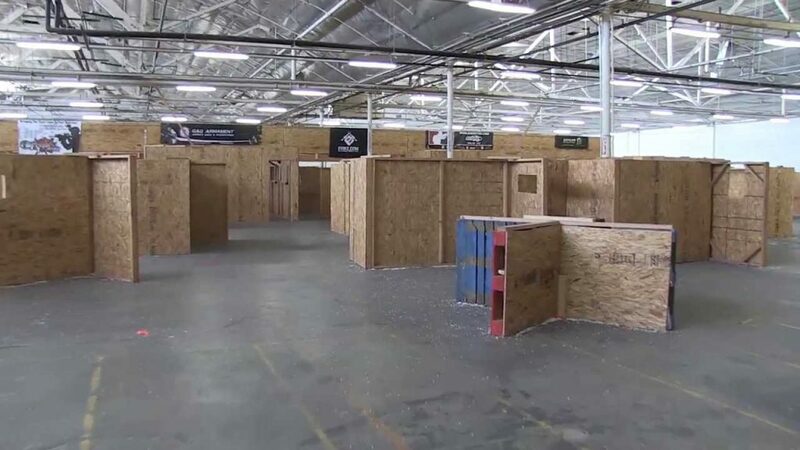 CQB, CQC, indoor play, whatever you want to call it, it has one defining factor over outdoor style fields and play. It is smaller. It’s as simple as that but in turn, makes it much more different than you may think. Indoor almost forces you to be more aggressive and attentive. You find yourself sprinting down the concrete to lead the charge against the person in building one. 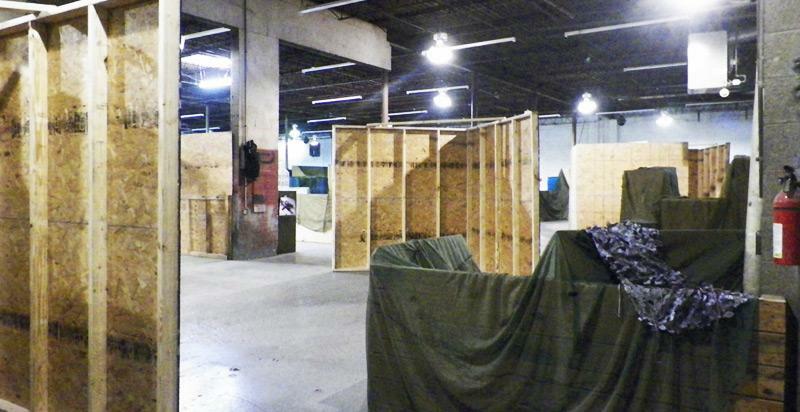 You find yourself in cover almost all the time, hearing the sounds of the BBs smack the plywood you’re kneeling behind. You never feel safe staying in one spot because you know the local team likes to flank.. all … the … time. I’ve found that outdoors, I feel much safer standing out in the open or having long range, stand back style gun fights with other players. BBs only go so far right? But indoor you find that the engagement distance goes from 3 feet to maybe 30 and that is it! There’s almost no where on the field that you can stand and not get shot from the other END of the building. HOWEVER, I am NOT knocking indoor play! I love it. I love the excitement and adrenaline you feel when you hear a group of GoPro clip orientated players run by you in a pack of 3, and you wait for the opportunity to shoot them in the back because they DON’T check their corners. Getting shot at and hearing the plywood get dented gives me the adrenaline and confidence to challenge the other player again! Slowly and methodically maneuvering the field because you know everyone else is pushing up quicker than a roadrunner on Adderall. Finding the player who pushed up SUPER far on the sound of the whistle and putting two in their back because they think speed is all you need to dominate. The community is so much more colorful. You’ll never find a more diverse looking group of Airsofters on any other type of field. You’ll look to your left and see a PMC loadout with a short AK style gun, then look to your left and see a player with a pistol studded with gems and cerakoted pink and it’s just NORMAL there! The seriousness level is, and should be at a lower level than if you went to an event or competition. And before you say I am knocking SpeedSofters, hold your horses. All of them. No I am not, as I respect the SpeedSoft community just as much as I respect the rest of the players. You see … the stigma against SpeedSoft and the indoor field community is that we’re a bunch of overshooting, cheating, crying, high ROF dependent children. When that really isn’t the case for 99% of the indoor community! We’re a lot kinder than you think and no, we don’t hate you outdoor players. No we don’t overshoot on purpose, it is a mix of adrenaline, high speed builds (which is HIGHLY prevalent in CQB Fields), and maybe 2 or 3 overly privileged players who think that they have BB immunity for whenever the situation deems convenient is there that night and we’re fed up. I’ve played with the best of the best, young and old, new and seasoned, and almost ALL of them are honest and kind players. Keep in mind I say most, there’s always that one player, or 3 … but that’s besides the point. Those kinds of players are everywhere. 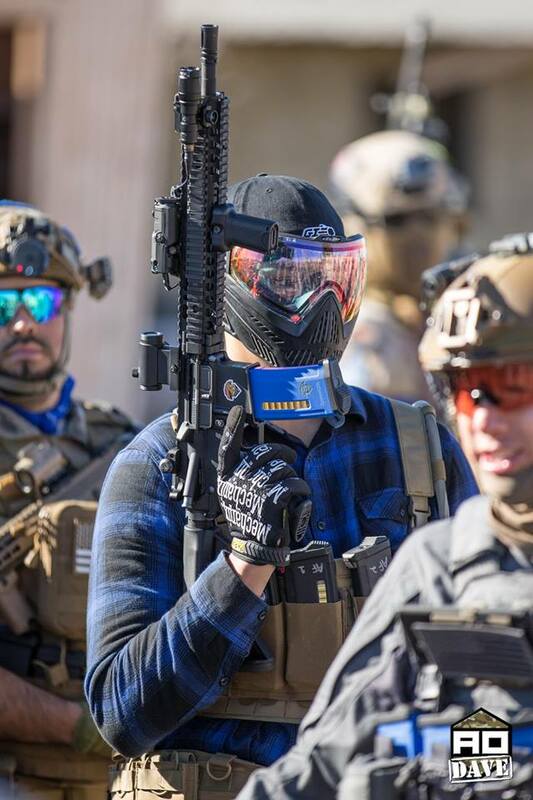 In the end, this sport is a bunch of people, with hurt wallets, and a want to shoot other people with fake firearms that shoot small plastic balls. Whether you’ve heard all of the “horror stories” of the indoor, CQB community or not, please keep in mind that we’re all just Airsofters too. And we’d really appreciate if you’d stop judging us based on the small amount of jerks that ruin our image. COME BY and TRY out indoor play! We promise to welcome you with open arms and an 80 RPS DSG build! Okay joking on that last part … maybe. HA! Night Time Operations are incredibly fun for Airsoft Players because they don’t happen often. If you’re lucky enough to own Night Vision, you’re at a huge advantage. For those of us who aren’t as fortunate, we have to stick to our wits. Today, we’ll be offering some ideas on how to up your night time skills! Not too often will you know the area you’ll be playing within at night. Meaning playing at night can be a pretty big handicap. If given the opportunity, scout the area when there’s daylight. Get an idea of the terrain, obstacles, building layout. Etc. Getting to know the area before you become blind helps a lot. If it’s your first time at that AO, scouting the area is a good idea. Attempt to operate at night without any prior knowledge of the area can lead. 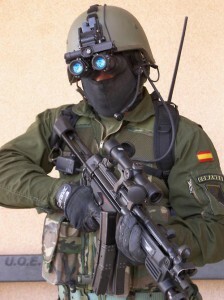 When playing airsoft, in any environment, you should know what your equipment is capable of. Not just how your gun holds up, but how well your gear will hold up. Is your plate carrier still in good shape? Do your boots still have sufficient tread? Are your backpack straps going to fail mid game? It’s one thing for your kit to fail in the middle of the day. You can go back and find the equipment on the field. At night you’ll probably lose whatever falls off of you. That can be a $5 or a $200 loss. Not including anything that may have been inside your pouch/bag that fell off. At night, your senses become heightened without your eye sight. Not only are your senses heightened, everyone in the area will have heightened senses. When your sight is gone, it seems like any noise you make is amplified. This is your body adapting to the loss of a key sense. Meaning your opponent can hear even the smallest of cracks and potentially your breathing. Making slow, steady, and calculated moves can prevent you from being detected. Using your environment to your advantage, move when there’s noise to drown your movements. Noises such as helicopters, trains, or even vehicles in the area. Be aware of any lights in the area, this’ll also prevent you from being detected. As things get darker, you want to let your eyes adapt to your environment. When moving from outdoor to indoor, take a second to allow your eyes to re-adjust. Going from a dimly-lit moonlight area to a pitch-black house can make you temporarily blind. The Human Body is amazing in its ability to quickly adapt. It really only takes a few seconds to allow your eyes adjust. Slow down, adjust your vision, then continue moving. In your heightened sense, it’s very easy to become distracted. The same thing goes for your opponent. Leaving simple traps or causing a distraction away from you can give you the edge. A trip wire dropping rocks can notify you of your opponent’s presence and give you the opportunity to take them out. 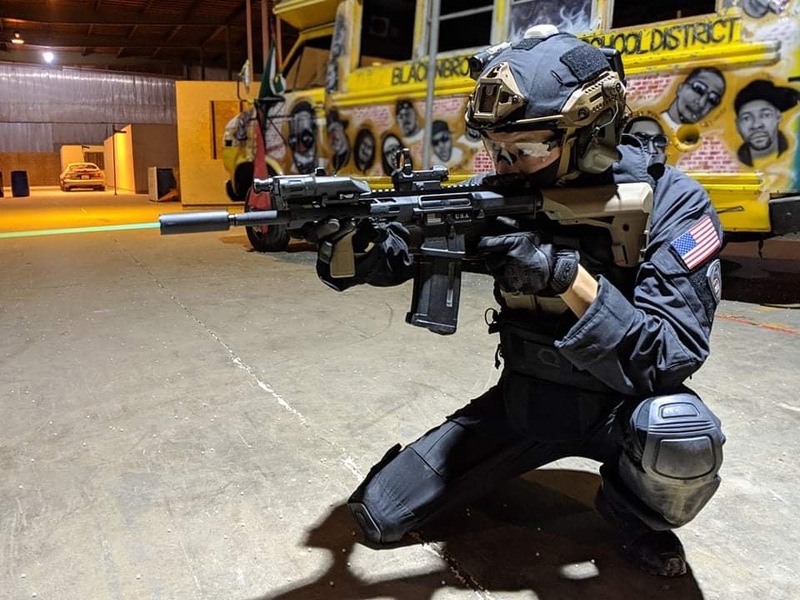 Night Time gaming can be the most fun you have playing airsoft. We all play to live out our Soldier fantasies. 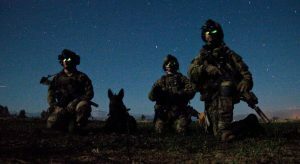 Being able to play out a “Night Time Operator” is something everyone has thought about. We’ve all played that one video game mission that occurs at night where you stealthily take out your enemies. For me that was the Call of Duty 4: Modern Warfare mission “Crew Expendable”. ***SPOILER ALERT*** If you haven’t played it by now then you really shouldn’t complain about spoilers. Taking place at night on a freight ship, you’re tasked with finding a particular container. Stealthily taking at the crew in the process. At a certain point, the crew catches on and your team goes loud. Up to this point, my heart was racing to quietly eliminate the enemies on board. There’s just something so satisfying about silently taking out enemies and completing your objective. Being able to live out similar scenarios in Airsoft is something that I absolutely love.